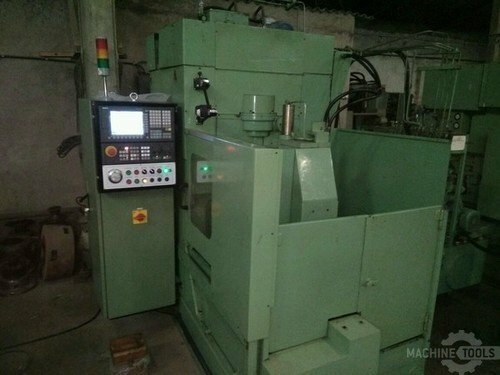 This machine was totally cleaned, hydraulic and coolant systems drained and cleaned, all gib adjustments were checked, all worm lashes were adjusted, all old parts specially bearings were replaced, all mostly oil leaks replaced and then the machine was fully recertified using the ISO alignment standards for CNC Gear Shaper. All the old German controls were eliminated and replaced with new Siemens 808D. Siemens 808D, Digital drives and AC servo motors Power CNC controlling digital Servo drives for the axes.